Avenged Sevenfold News: Avenged Sevenfold's City Of Evil in "10 Best Albums of 2005"
Avenged Sevenfold's City Of Evil in "10 Best Albums of 2005"
Loudwire compiled a list of "10 Best Albums of 2005", included Avenged Sevenfold's City Of Evil. You can read an excerpt below. 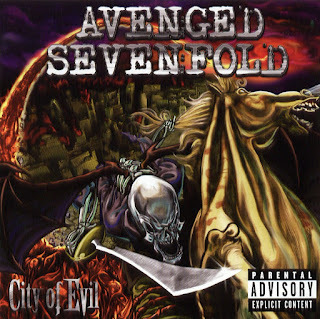 ‘City of Evil’ built on the success of ‘Waking the Fallen’ and though it didn’t chart as high as its predecessor, the third effort from Avenged Sevenfold made them one of the biggest bands of the modern era. 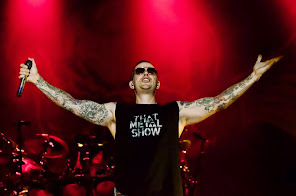 Boasting tracks like “Beast and the Harlot,” “Seize the Day,” “Burn it Down” and “Bat Country,” the record sold over 1.5 million copies and has been certified platinum by the RIAA. ‘City of Evil’ saw a stylistic change as the band abandoned their metalcore leanings in favor of stronger melodies and hooks, discarding the more extreme elements of their past.